With a career that began as a member of The Runaways in the mid-seventies and culminated with a hugely successful career both as a solo artist and guitar legend, Lita Ford has earned the title of rock royalty. Even Marshall Amplification and Guitar Player magazine nominated Ford as a certified legend and the First Lady of Rock Guitar at a recent NAMM show. With more than a dozen albums under her belt and showing no signs of ever slowing down, Ford is currently out on the road celebrating her musical career as well as prepping for several new projects. AXS recently spoke with her about her new tour, career, guitars and music in this exclusive interview. 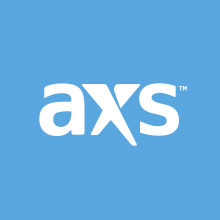 AXS: What can fans expect from your new tour this year? Lita Ford: It's a really fun show; filled with power, energy and great musicians. The team I’ve put together is so good and so tight. Even in the middle of the fastest song we play we’ve got breaks; and they’re so spot on, it’s like a machine. AXS: This year marks the 35th anniversary of your debut solo album, Out For Blood. What was your mindset like going into that first record? Were there any nerves? LF: I get nervous about other things, but as far as playing guitar, making music and going on stage goes, I just do what I want to do and don’t even think about it. I've always had the attitude that if you want something done right, you’ve got to do it yourself. It’s something that’s always stuck with me. As far as that first album, I was just being myself and wrote down what was happening in my life at the time. It was incredibly easy. The music and lyrics flowed out of me like someone slit your wrist and your blood was gushing out [laughs]. AXS: The Lita album from 1988 was another memorable album. What are some of your best memories of that time? LF: I wrote an autobiography that actually explains it all [“Living Like A Runaway”]. I wrote it myself because no one else could dictate what I went through with that album - the highs and lows, the fights and all the fun we had. It was a really great time. It’s a great album and the fans certainly haven't forgotten it. AXS: A lot of hard rock/metal artists from the eighties got a bad rap when the decade ended, but there now seems to be a resurgence. What was your experience like? LF: A lot of musicians from the nineties tried hard to snub out how cool the eighties really were. They labeled us “hair metal” bands. It was kind of a nice way of saying we're better than you. I didn't take it very lightly. I figured, Ok, you know what? I'm going to step aside and let these guys go at it. So, I went away for a while. I moved to a deserted island until I got the itch to come back. By then, the timing was right. Women in rock have never been stronger; especially on guitar. It’s a very cool thing. LF: For me, everything is music. Sometimes I'll even hear it when nothing is playing. Little things trigger songs in my head. I’m in the process of moving right now and a friend of mine recently sent me a text saying, “We could use some manpower”, and I thought, what a cool song title. So, I’ll start noodling around on guitar and asking myself what it would sound like. Other times, an idea will come from playing a cool riff or something amazing and beautiful on guitar. Then, I’ll put it aside and look for a title. AXS: What can you tell me about your new, custom-made Lita Ford guitars? LF: The guitars these days are really not what they used to be, and that’s not to put anyone down. Lita Ford Guitars are built by Jim Cara and are replicas of my 70’s “Salt” and “Pepper” Hamer Explorers I played with The Runaways. The original ones are serial number 0012 and 0048. I’ve got two of the first fifty ever made (Rick Nielsen from Cheap Trick has #1). These new guitars are hand-made pieces of quality, whole wood. It has some weight to it and it's ballsy as hell. I’m very proud of them. Jim also builds Gene Simmons’ Axe basses, and we’ll be talking about the guitars and doing some demonstrations at the KISS Expo. LF: There's a new single that will be released sometime around July 4th. There’s a lot to talk about with it that’s very cool, but that’s all I’ll say about it now right now. I’m also working on another album, so there are a lot a lot of good things coming. I think the rock world needs it.